Simple content management system (CMS) for web content publishing and editing. Unlike the other content management systems on the market our Simple PHP CMS script is primarily focused on the easiness of managing website content (text, images or other files). 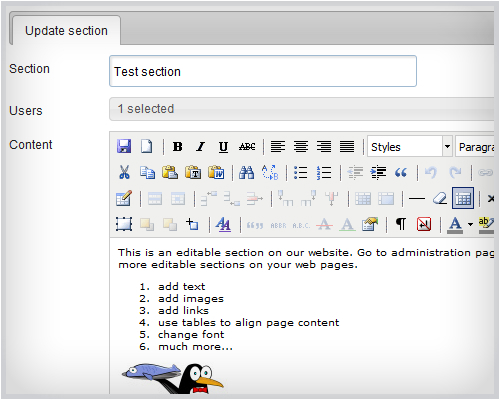 You can easily publish articles, news or simply edit parts of a website easy as a piece of cake. Role-based access, an unlimited number of sections & users and a developer licence.